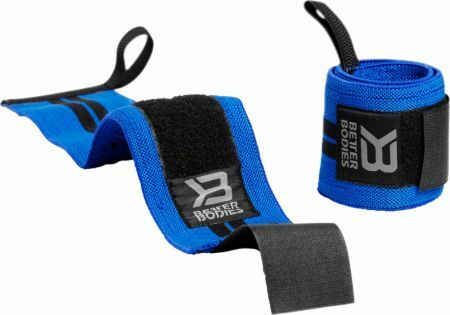 Better Bodies BB Wrist Wraps at Bodybuilding.com - Best Prices on BB Wrist Wraps! BB Wrist Wrap 18” are comfortable wrist wraps that offers support and stability during heavy lifts. They are equipped with secure Velcro as well as thumb loops for quick and easy fastening. They are made out of a high quality polyester and rubber blend and feature a length of 46 cm. Strong Velcro fastening – easy to adjust and a secure fit! No BB Wrist Wraps Reviews Found.